Arrival starts off with Dr. Louise Banks (Amy Adams), a linguist professor going through the flashbacks of her life, when she learns that Earth has been invaded by 12 spacecraft. She is contacted by Colonel Weber (Forest Whitaker) who plays an audio for Dr. Banks to hopefully decipher the foreign alien language. Dr. Banks is introduced to Ian Donnelly (Jeremy Renner) who will assist her in deciphering what it is that the aliens are trying to tell them about their presence on Earth. From then on you are taken on a journey of not only scientific but philosophical exploration of the unknown. Amy Adams is absolutely mesmerizing in this film and truly commits to her role as the somewhat depressed yet highly intelligent professor. This is one of her best roles yet and might even earn her some Oscar talk for next February. 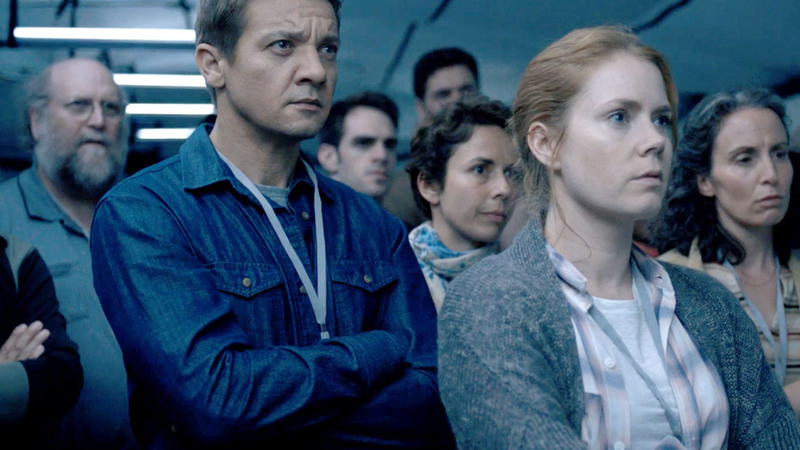 It is nice to see Jeremy Renner take a break from his Superhero duties as Dr. Banks peer who helps her communicate with the aliens and understand their language. Both of these characters truly help carry the film while also keeping the audience engaged into not only the aliens but learning more about their interactions with one another. Overall, I really enjoyed this film and found it refreshing and thought provoking which is rare these days for the film industry. Arrival is one of the best Sci-Fi films I have seen over the past few years. This will most likely be a film that you will either love it or hate it, but I guarantee you will want to discuss this film with your friends and family. My recommendation is you need to PAY to see this film in theaters. I promise you that you will be pleasantly surprised. Arrival lands into theaters this Friday, November 11th. Purchase your tickets now at Fandango so you don’t get sold out. Comment below how you felt about the film. SO glad I read this! I thought this film didn’t come out until mid December. I love both Amy Adams and Jeremy Renner, so hopefully this film brings them much success and some oscar buzz. They’re both phenomenal actors. And after seeing Madea’s Boo Halloween, we need something with substance and more “thought provoking” to bring us back.